It’s difficult for me to understand the NHS sometimes. I had my colonoscopy in June. It had been requested many months before as an urgent appointment. The results of which are only today to be shared with me. Some people wonder why I’ve been quite quiet for the past several months. Why I’ve not felt like doing too much or straying too far from home. The symptoms have continued and at times I’ve wondered if I should call and ambulance and go to A&E the pain has been so bad. Today I saw the consultant to get the results. After all the worrying about this appointment, it, of course, showed nothing. On arrival at the appointment, he made me feel like I was wasting his time. He then proceeded to sit there for five minutes (whilst I sat patiently by the desk) whilst he read my notes. He then asked me lots of questions as it would appear that he only had a little bit of my notes with no record of cancer! When I told him, he spent a few more minutes returning to the scan result pictures, as if he was viewing it very differently to a ‘healthy’ patient. This wasn’t giving me a great deal of confidence. Anyway, shortly thereafter he dismissed me. He informed me that there was nothing to worry about and to go home. I reiterated that I was still experiencing the symptoms to which he informed me that it wasn’t due to my bowel. Such empathy NOT! 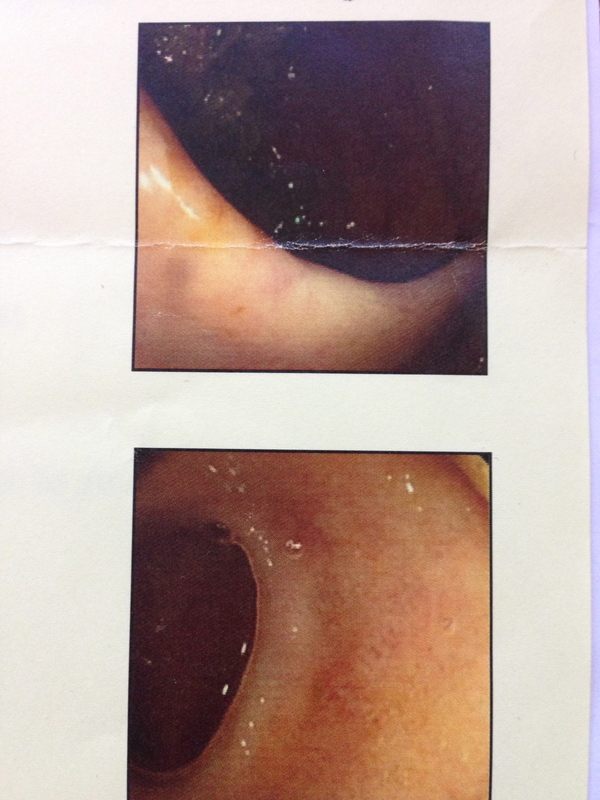 Oh and just because I can… here’s a picture of my bowel! Cool huh?